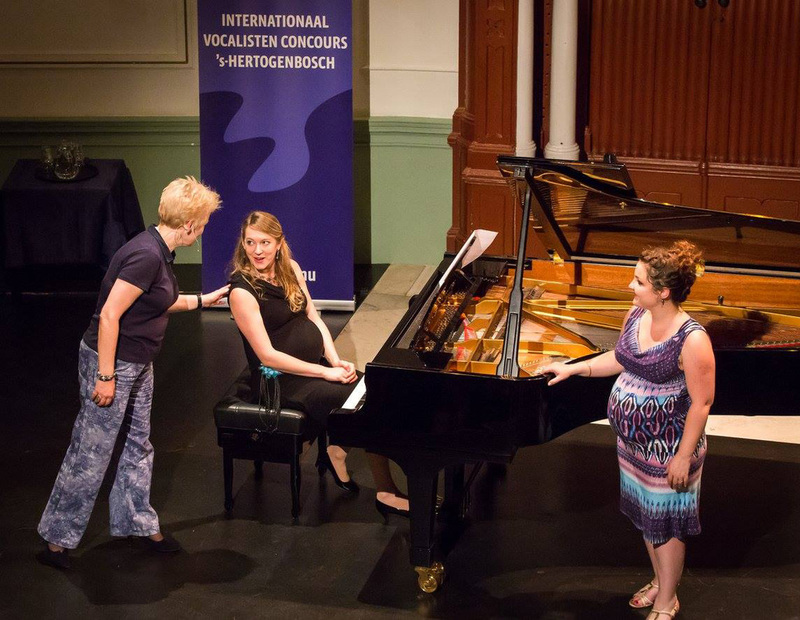 The International Vocal Competition (IVC) in Den Bosch asked me to write the compulsory work for the 2016 edition. A fantastic commission!! And quite a challenge, with a.o. Willem Jeths (2014) and Jeppe Moulijn (2012) as my predecessors! 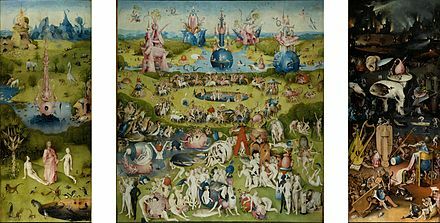 The text is part of the 'Bosch en Breughel' poems by Dutch poet Pé Hawinkels, written for the painting 'Garden of Earthly Delights' by Dutch late medieval painter Jheronimus Bosch. All participating singers are required to learn this composition, which will be sung in Latin, translation by Harm-Jan van Dam. The right panel is the inspiration for my composition. Some say it describes hell, to me the strange creatures are demons, demons that haunt us or did so in the past. They come out at night when the moon appears and give us 'the blues'. for wind orchestra, mixed choir and soprano on the 'Big Bang' theme. 'Grief of Gravity' had its premiere in Eindhoven on 2 May 2010 with Maaike Widdershoven, soprano and the Projectkoor Paul Gieles. On 3 July 2010 they performed in the Muziekgebouw aan t IJ in Amsterdam. June 1st 2013: Rotterdams Blaasorkest performed with me singing de soprano solo! 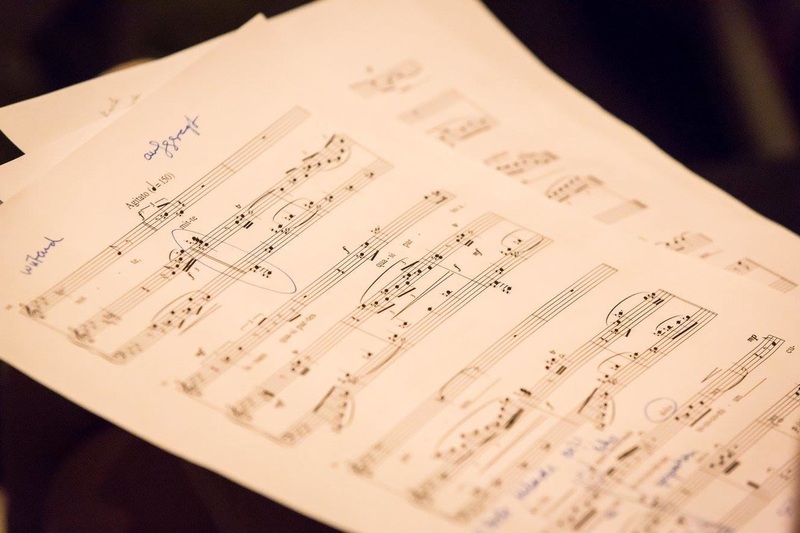 June 27th 2015 Orkest Zuid performed the piece again, also with me singing the soprano solo! December 10th 2017: Frysk Harmony Orkest, also with the composer as soloist. Irma Achten wrote the philosophical as well as romantic text about Gravity and Awareness, two symbolic figures who fall in love with eachother. They bare many children: the grass, the trees, rocks, hummingbirds and of course: man. He calls himself: Matter, with 'a big head and spectacled eyes' and denies everything that can not be measured. to tell him there's more to life than mere facts. She cannot return to Gravity until Matter realizes this. 100 people on stage, all performing my music! What an honor!